iPad mini pre-orders kicked off last night just after midnight PDT for customers in Canada, the U.S. and selected launch countries around the world. In what may seem like an interesting decision, the iPad mini ships with a regular USB Power Adapter. 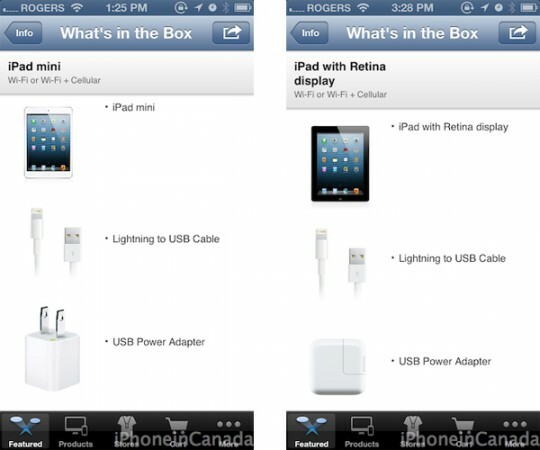 Apple’s online store does not specify the adapters that come with iPads, only the Apple Store app reveals the charger type included indicated under “What’s in the Box”. However, as you may already know regular iPads ship with a 10W power adapter, and Retina iPad users have complained about long charging times. In response, Apple introduced a brand new 12W power adapter in the online Apple Store, and according to the company it will speed up the charging process. While the 12W USB power adapter is compatible with the iPad mini, don’t expect the peripheral to be in the box when your iPad mini arrives. While finishing our pre-order in the first few minutes of availability, we noticed that the device will ship with a 5W USB power adapter, the only iPad-compatible power adapter that ships with iPhone or iPod models. Yes, this is the same power adapter you get when you unbox your iPhone 5, which may seem strange. As the iPad mini tech specs show, the 7.9-inch tablet comes with a 16Wh battery. This is three times the 5.5Wh battery found in the iPhone 5 and a third of the Retina iPad’s massive 42.5Wh battery. So our first reaction was: this must certainly show that the iPad mini’s 16Wh battery doesn’t require a lot of extra juice to charge, because it is smaller than the regular iPad’s battery. That’s great–but how long will the charging time end up being? Will that be three times the iPhone 5 charging time? 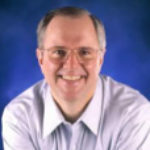 We’ll soon find out next week once early benchmarks and reviews hit the web. The iPad mini display has the same resolution as the iPad 2 at 1,024 x 768, yet it has a smaller battery and it ships with a 5W power adapter. Will it live up to Apple’s standards? Secondly: is Apple cutting costs here? Why can’t we have a 12W power adapter just like the fourth generation iPad? Maybe it’s just not necessary.